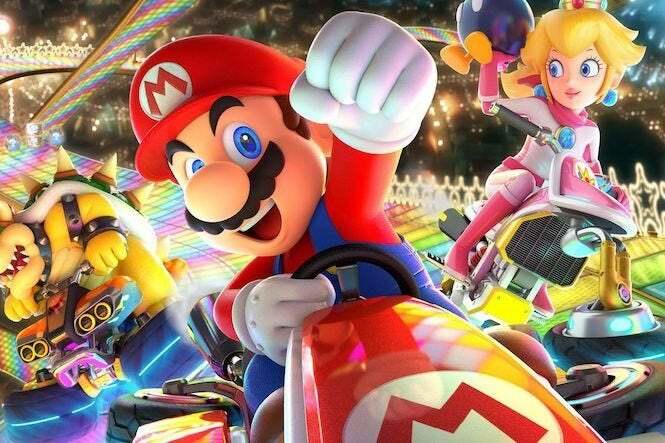 Mario Kart 8 Deluxe has become one of the most successful games on Nintendo Switch, selling over five million copies since its jump from the Wii U and addicting millions of players. But who knew that the home of the Kansas City-based sports teams would also be such die-hard fans? You just got some poor security guard fired. I’d like to propose a deal between @RockstarGames and the @Royals. Everyone can relax, though. It’s not as severe as you might think, as Royals Charities responded that it was part of a charity event. So noooooo, no one got fired. But they probably got hit with a spiked turtle shell. This is a part of a @Royals Associates fundraiser with us to kick off the year! You may even see a video game party on CrownVision as an auction item in 2019 ? All the same, it looks like people were having all sorts of fun with Mario Kart. But, um, hey, guys, next time invite us, yeah? Mario Kart 8 Deluxe is available now for Nintendo Switch in both physical and digital form via the eShop.